Industry gets a boost from hard flooring trend. New rug product highlighted at Las Vegas Market. 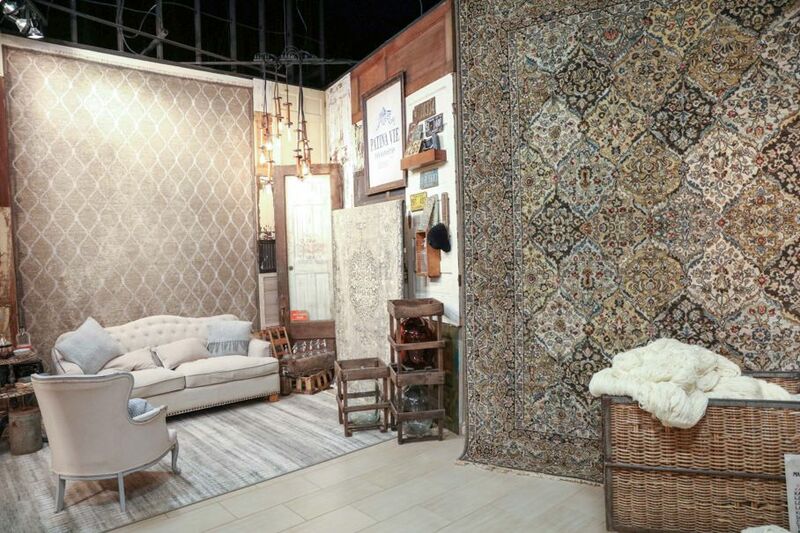 Each year Karastan Rugs works to introduce a sizzling new trend at Las Vegas Market, where thousands of vendors come together with their lines of home décor, furniture, and gifts. This summer, the Kismet Collection was without a doubt that hot-seller for Karastan Rugs, which is owned by Mohawk Industries, the world’s largest flooring company. 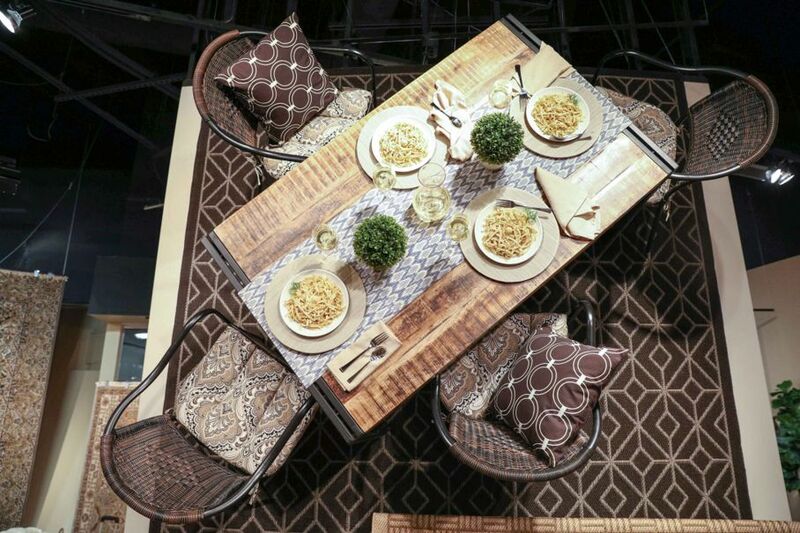 Just why is the Kismet Collection making waves in the rug and carpet market? 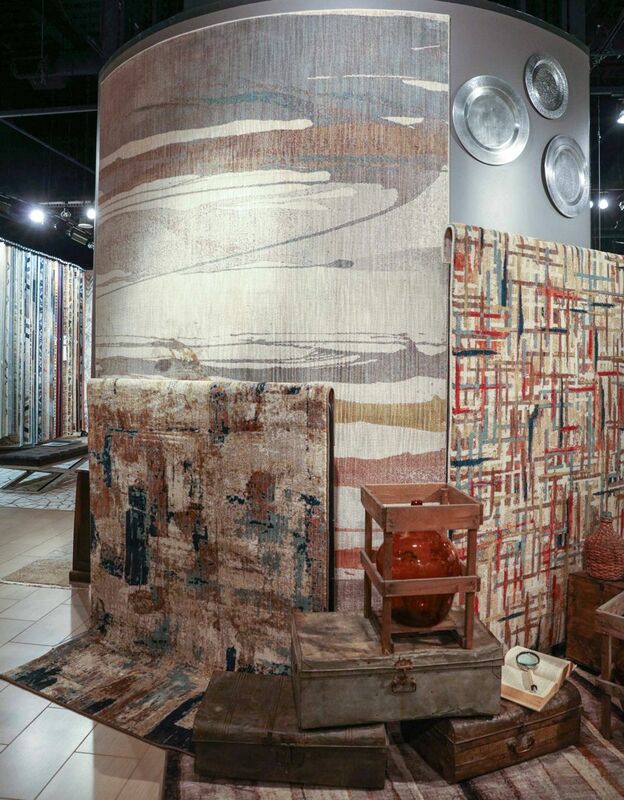 Well, Kent Wilkins, regional vice president in Arizona for Mohawk Home, told House Tipster it’s largely due to how these beautiful rugs are made. “For the first time we’ve mixed New Zealand wool with our proprietary fiber called SmartStrand, which is made from a corn oil. So it’s a very renewable grain story with the entire rug,” said Wilkins. "And everything we do at Karastan Rugs is 100 percent made in the USA. We don't do any importing of our rugs." Karastan’s vice president of design, Tracy Pruitt, said that it’s a merger of the two most coveted fibers - New Zealand wool and SmartStrand Silk. The Kismet Collection is really about drawing from the best of the best. New Zealand Wool is considered legendary in rug circles, and the SmartStrand Silk is a proprietary synthetic performance fiber that revolutionized the carpet and rug industry in 2005. As an alternative to traditional carpet, SmartStrand has been embraced by customers for its durability and built-in stain resistance. “It was fate that the two should come together in one beautiful rug collection, so I called it Kismet,” said Pruitt in a Karastan company blog. “I’m always looking at ways to innovate, not only in color and pattern, but also in construction,” he said. He added that pairing these fibers together – wool with its elegant matte finish and SmartStrand with its sheen – give the surface an interesting contrast. As the company’s design expert, Pruitt has a reputation for staying on top of trends and fashion. 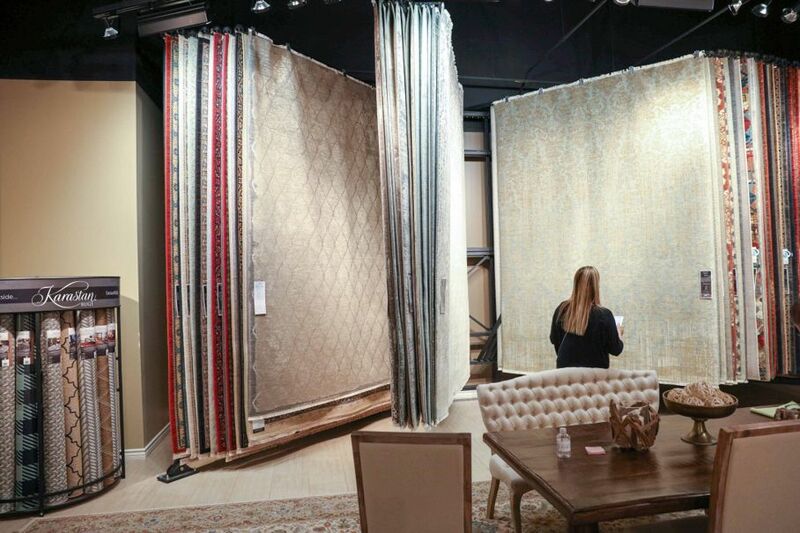 According to Wilkins, the Kismet Collection is an example of how this design sense is revving up sales for Karastan Rugs, the finest in power-loomed rugs. “We’ve had tremendous response to this new collection, and I think it will be another great collection for us,” Wilkins told House Tipster. What our Media Team immediately noticed about the rugs on display at Market, besides their attractive designs and patterns, was their grand size. It’s no illusion – the rugs are getting bigger, he said. Today’s rugs are at least 8 by 12 feet in size, said Wilkins. Wilkins attributed this new trend in rugs to the way that hard floors are taking over modern home design. “Everybody puts in hard floors and then needs rugs to cover it up to get the warm feel of home again,” he said. Drawing patterns from old and new, the Kismet Collection reflects the popularity of neutrals, cream, and gray as foundation colors today. 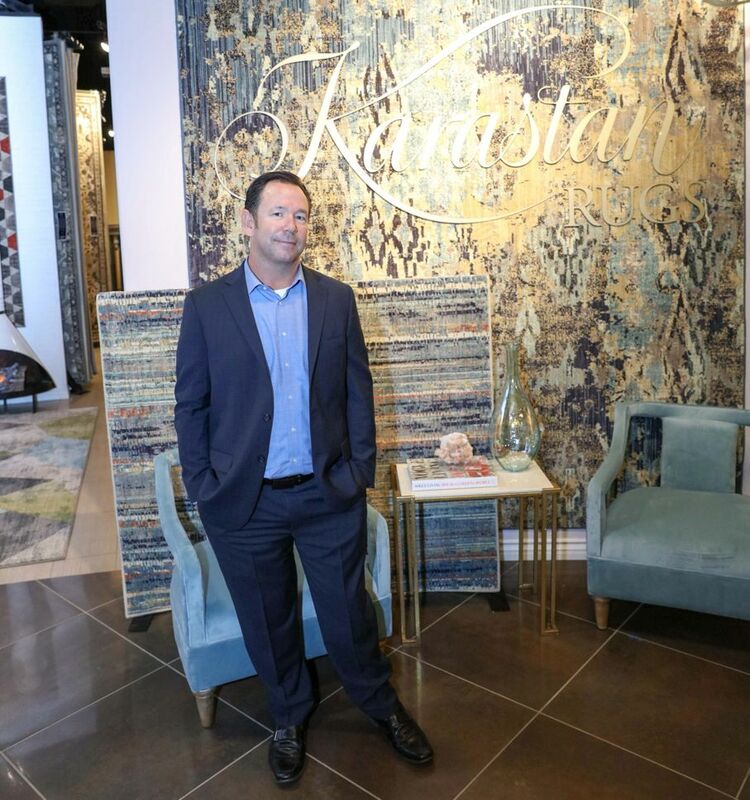 Although Karastan Rugs has long been known for its traditional designs, today the company is also enjoying success with its transitional designs, Wilkins said. In fact, Karastan’s sophisticated rug styles include contemporary motifs, and all of the designs work to elegantly complement the décor of today’s home, home office, or business space. 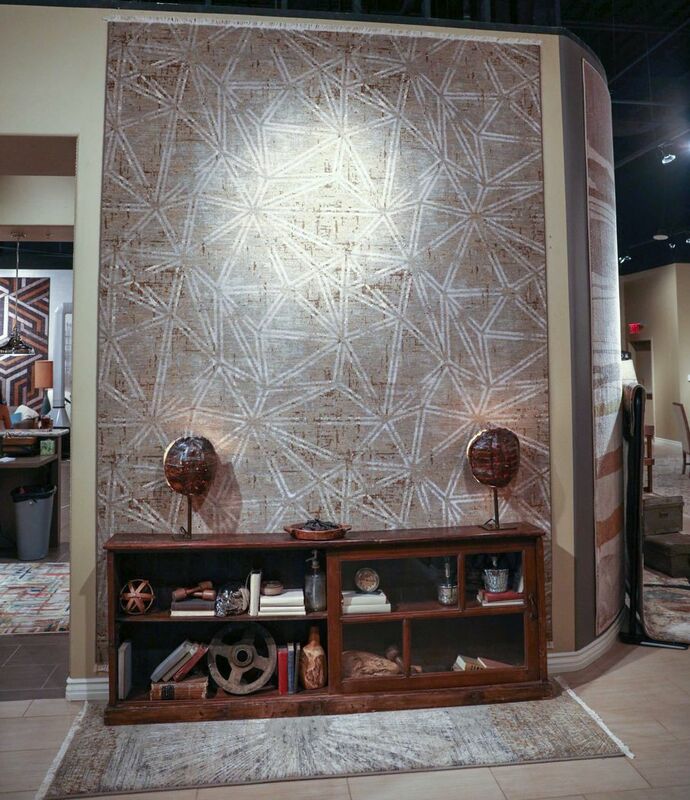 Finding something new to wow audiences at Las Vegas Market is not an easy task, but Wilkins left the market thrilled with the response the Kismet Collection had generated. “We’re excited for the second half of 2017,” said Wilkins. Karastan Rugs are available from major furniture retailers like Macy’s.